What to measure in Employee Development. Business Impact or ROI? How? Good Morning, Ladies and Gentlemen. You know when I chose this topic to talk about, there was one thing that immediately came to my mind – my cooking skills. I can never claim to be a good cook unless someone else tastes the food I cook and rates it high. I certainly hope my family thinks so! Similarly, as employee development specialists, we can make all the noise we want and say that our efforts are making business impact but unless and until we can measure them and show results, our voices will go unheeded. Measuring employee development, especially for learning and development professionals, has been one of the biggest conundrums. It’s like judging a painting in the dark… But the business needs us to do it, if training needs to find a worthy place in organizational growth. However, which would be the most effective way of measuring employee development? Return On Investment (or simply put ROI) or Business Impact? ROI is a very popular metric because of its versatility and simplicity – if an investment does not have a positive ROI, or if there are other opportunities with a higher ROI, then the investment should be not be undertaken. Our CFOs love it because ROI is all about numbers. But when it comes to L&D and measuring the tangible and intangible benefits of learning, ROI may not always be the best tool of measurement given that it takes a considerable period of time to understand it, given its rippled and cumulative effects. Also, ROI does not reveal whether it brings value to the business and its goals. Another reason some of the ROI studies are not taken seriously is also most learning functions approach reporting to prove the learning function’s worth. 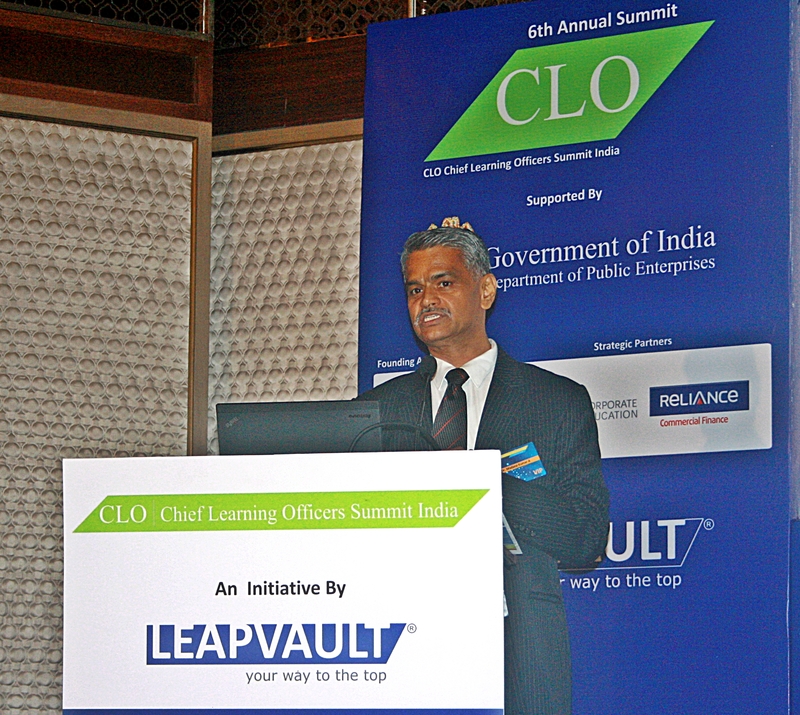 (Article – ‘What’s Ahead: Can Measurement Be Standardized?’ by Frank Kalman, CLO Magazine, August 2013). Their motivation is wrong. Instead, focus on business outcomes and outline how learning has aligned to improve them, says Bassi, the CEO of HR Analytics firm McBassi & Co. Many companies, instead, fall back on business metrics like ROP – Return on Performance (or improvement in productivity), or CSAT or attrition – to measure employee development, because they feel ROI may be a limiting factor. (Ref: Putting Thought to Work: Evaluation in Practice, CLO Magazine). Studies also indicate that the accuracy of the final ROI calculated depends on the model used to calculate the ROI – the fact that different companies may be using different ROI models goes to prove that this may be a tricky path to take. My argument, therefore, is that Business Impact is a better method to evaluate employee development. Our experience shows that when we evaluate employee development continuously and consciously using certain relevant business parameters, we can highlight the consequences to the business (financial, reputational or operational). These consequences could be the result of a learning or other employee development initiative. If there is a business impact, ROI will automatically follow. At UST Global, we have anchored our learning strategy in the intent of creating business impact. By using four kinds of enablers – business acumen/subject matter expertise, business connect, employer branding and partnership – we are transforming lives by engaging and developing the employees. The impact on the business is an integral part of this transformation. ROI traditionally considers levers like revenue, margins, etc. But business impact also treads unconventional paths studded by employer brand value in the industry, and customer satisfaction. A few examples I would like to cite here are from what we call at UST Global the leadership continuum or managerial development initiatives for managers at different levels. When we need to take a decision to invest in the AM program, we base it on the business case that the participants who go through the program will bring about a growth in revenue of up to 20 %. If we consider the PM development programs, there is bound to be increased profitability through less rework. 1 % save in Rework will ensure substantial savings for the Organization. We can also create business impact through the internal positions we have been able to fill, through cross-skilling, as against hiring from outside. ‘PowerPlay’ is another coaching program based on sports principles being run for the senior and potential leaders in the organization which is using certain non-traditional measurement parameters. Talent audit, review processes and committees are an integral part of this program. They also validate the “transitional potential” of nominated candidates and create in-depth personal development plans. Of course, the final question is how do we do measure business impact? One way would be to study the causality and correlation between two groups of employees: One that has gone through a particular employee development initiative, like a learning program. And another that has not. To make this argument, we relied on a study we conducted on a group of people who had gone through a management development program in 2013 called Manager Edge. Positioned as a top HR priority, this program is expected to reduce attrition and increase productivity by focusing on people management, business, client-facing and leadership modules. We used three business metrics to correlate and compare the managers who had gone through Manager Edge and those who hadn’t: Performance Rating, Feedback Survey Score by the employees on their managers and the attrition rate. The study points out that there is an increase of 19% points for Manager Edge Participants as compared to Non-Participants from 2012 to 2013 in the Performance rating when we look at the ‘Best performance rating’ category. There is also an increase in 18% points for Manager Edge Participants as compared to Non-Participants from 2012 to 2013 in the Performance rating for the Second Best performance rating category. Feedback Survey Score by the employees for their Managers : The percentage points, for percentage of number of managers who received a higher score in 2013 than 2012, is 18.70 more for the participants of Manager Edge as compared to that of Non-Participants. The attrition rate of the employees reporting to participants of Manager Edge was 4.51%, while that of reportees of Non-Participants was 9.13% in 2013. Therefore, a group of managers that has gone through the program has shown a substantial increase in their performance, leading to improved productivity, thus leading to a direct impact on the business. This is especially noteworthy because UST Global is in a never-before-seen flux of intense growth and expansion – we need more productive managers and we need them now. The program has also had a positive impact on the attrition rates. At UST Global, we also believe that business impact is incomplete without taking into account social impact. Our L&D initiatives implicitly and explicitly work to create social impact. At the core of the UST Global culture is a trinity of values: humility, humanity and integrity. Right at the time when an employee joins the organization, the induction program which the L&D unit runs ingrains the importance of contributing to one’s environment – whether at work or to society at large. UST has nurtured a unique concept of colors through which an employee can contribute in different ways to the outside world. Colour rose, for instance, is all about making a difference to society. This way, there is a direct correlation established between learning & development and social impact. Yet another example is’ Step IT Up America’ – an initiative which aims to train and provide employment opportunities to 1000 women from minority communities in 10 major cities across the United States. Launched early this year, this program has not only created IT jobs in the STEM sector for this severely under-represented group, but it has brought home several new client logos for UST Global, with the promise of revenue generation.